* Temperature measurement by all types of thermocouples. * High precision µV voltage transducers measurements. * Temperature measurement by all types of RTDs. * High precision µΩ Resistive transducer measurements. * Multiple point pressure measurement by one unique Smart Biene Transmitter. * Pressurized Tank level measurement. * Long time periodic Data Logging. * Almost all types of outputs like current, voltage and Modbus RTU Communication protocol. * Configurable as fast or slow mode Response Time according to application. Ongoing Quality, reliability and being economic are the most important aspects of any level measurement application. Volume measurement of filled materials in a storage tank. Weight measurement of filled materials in a storage tank. Up to 4 relay outputs. Almost all types of outputs like current, voltage and Modbus RTU Communication protocol. Long time periodic Data Logging. Variety applications of pressure measurement, Convinced Smart Biene to Present multi task pressure Measurement solutions. 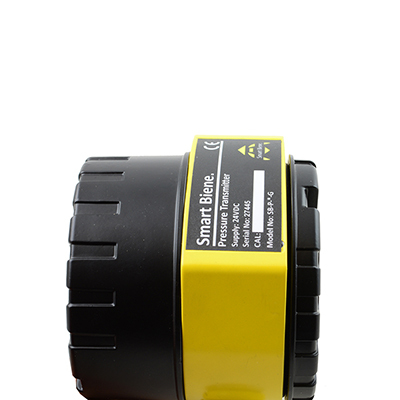 Each application could be customized by unique smart biene pressure Transmitter. Pressure measurement , differential pressure measurement of a pipe line with Filter or multi point pressure measurement of a process field can be achieved by an unique Smart biene transmitter with a variety of communication Protocols. Multiple point pressure measurement by one unique Smart Biene Transmitter. As oil, gaseous Contamination, high temperatures etc. smart biene offers a unique smart solution in Like these environments, you can configure device with infrared switches no need to opening panel in such Environments. multi sensor type connections are possible for these products, logging data, And configuration of device by easy to use SB-software’s. Temperature measurement by all types of thermocouples. High precision µV voltage transducers measurements. Temperature measurement by all types of RTDs. High precision µΩ Resistive transducer measurements. Main core of Smart biene formed in field applications of pressure measurement and as result established company by founders in 2002. Research and manufacturing areas of Smart Biene Corporation are Temperature, Pressure And Level Measurements. Smart biene is now active in more than 20 countries, our products are sold and has been praised in more than 3500 engineering projects with customized applications. All products have all necessary approvals and certificates.